It’s Izzy the love bug! Well, my scheduled posts ran out, and I’ve missed the past couple days of post. 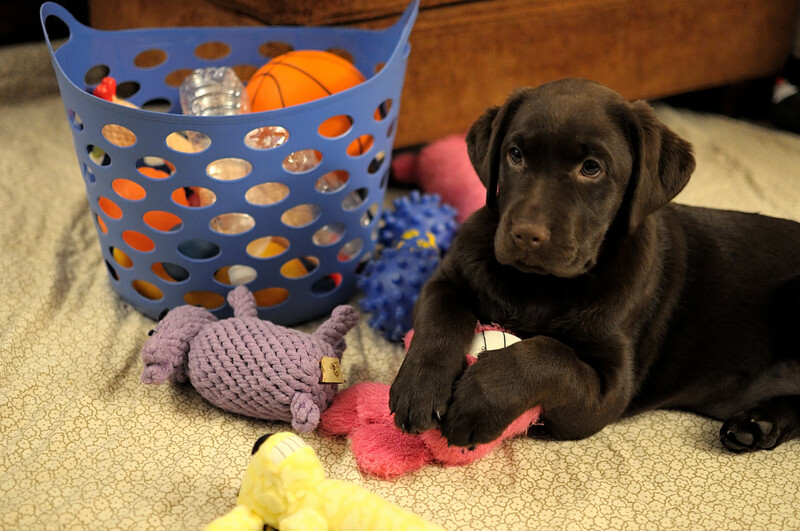 I usually like to post on each weekday, but I’ve been busy running around with Izzy, the chocolate lab puppy. She is a purebred lab but also a rescue — she came from a large rescue in my hometown — and I’m very happy we were able to adopt her. So, this is a personal post to get me back rolling. Bugs to resume shortly. Posted in Not a BugTagged adoption, brown, chew toys, chocolate lab, dog, izzy, labrador retriever, paws, personal, puppy, rescue, toysBookmark the permalink.